Many people use topical treatments to help improve skin pigmentation, while this works to a degree, it is certainly not the most effective and long lasting treatment like many people think. Many creams that offer skin bleaching benefits are harmful to our body, filled with chemicals and toxins that harm our health and can actually speed up the aging process. That being said, there are plenty of glutathione creams on the market, and many of which are quality. Just like supplementation, it’s all a matter of doing your research. The pitfall of Glutathione creams is the fact that we don’t get the full benefit of this amazing antioxidant. By supplementing with L-glutathione or acetyl glutathione you are harnessing the full potential of this Master Antioxidant. Fight aging from the source, improve the health of your cells and improve the look of your skin. All while you help prevent disease, increase your energy levels; helping you look and feel younger. 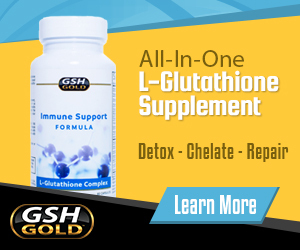 Do not expect dramatic results within a few weeks of supplementing Glutathione. What you can expect is healthier skin, hair and nails by supplementing with a top quality Glutathione supplement regularly. Ridding your body of harmful toxins and optimizing your cellular health. It is best to think of a Glutathione as a total body health supplement that has skin health benefits, one of which being improved skin pigmentation. It is far more than just a skin whitener, it is the single most important antioxidant for your overall health and well-being.